The paper examines social transfers and their influence on the labour supply of women in Kyrgyzstan. Social transfers in cash and in kind in place in Kyrgyzstan absorbed 5.7% of GDP in 2012. They include subsidies to social insurance pensioners, transfers to population groups considered vulnerable or deserving, and transfers to families with children in extreme poverty. Social transfers are generally pro-old and maternalist in orientation, and therefore strongly gendered. 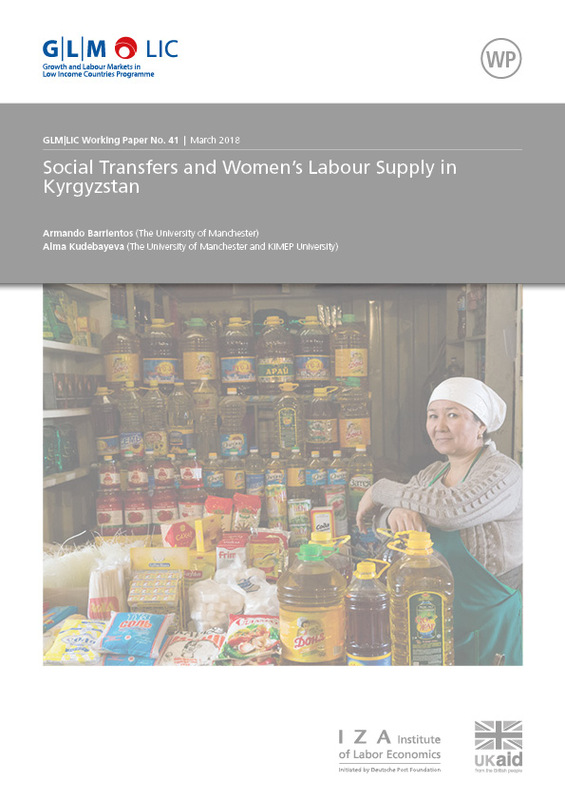 Using data from the Life in Kyrgyzstan survey, the paper throws light on whether social transfers are associated with labour supply decisions of women at the extensive and intensive margins, and with birth spacing. The results indicate that social assistance transfers are associated with lower probabilities of participation and hours for women and marginally increase the relative risk giving birth.